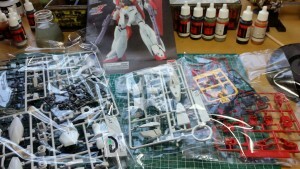 Then there’s the makers of these kits, majority of which I saw from a company called BanDai. I’ve not seen any kits from these guys before, but the quality is outstanding. 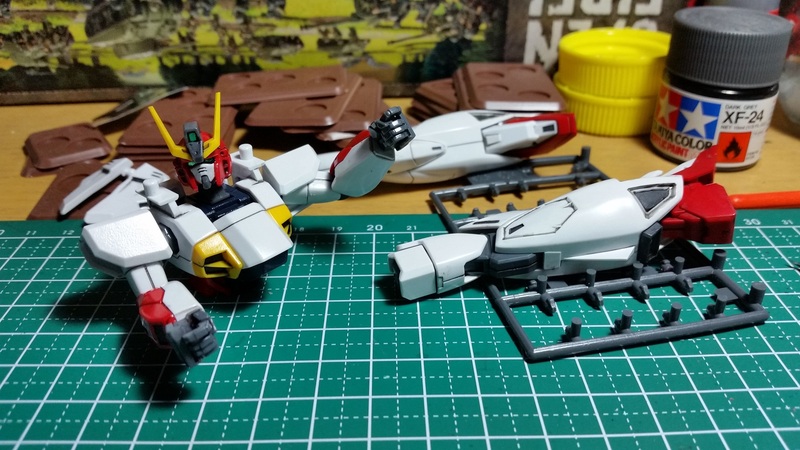 There was no cleaning of the parts required apart from where they attach to the sprues and the quality of the plastic looks and feels first class, and the best part – No glue required. 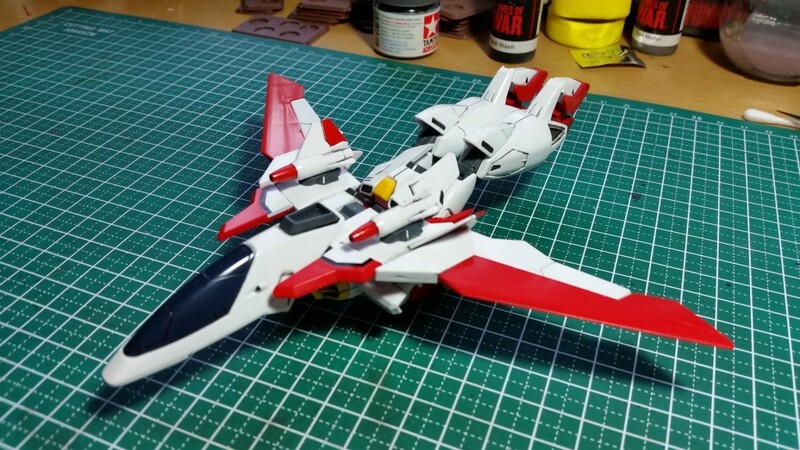 You can even get away without painting them as many of the parts come already coloured. Another interesting thing with these models is the fact that they often have articulated parts, wrists, elbows, shoulders, head, torso, hips, knees, ankles. To facilitate this a different plastic is used for the joint parts. 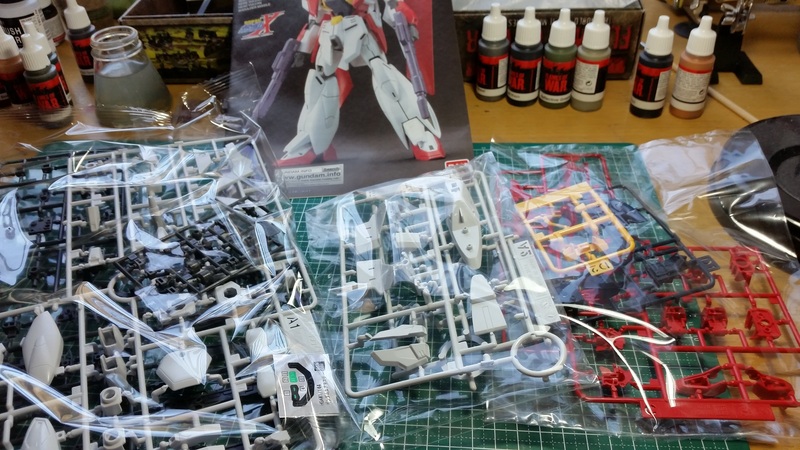 Being predominantly huge in Japan the kit instructions are in…you guessed it Japanese. But this is not really a problem, as the steps and graphics are really well done meaning that you could probably be from out of this world and still be able to put it together. 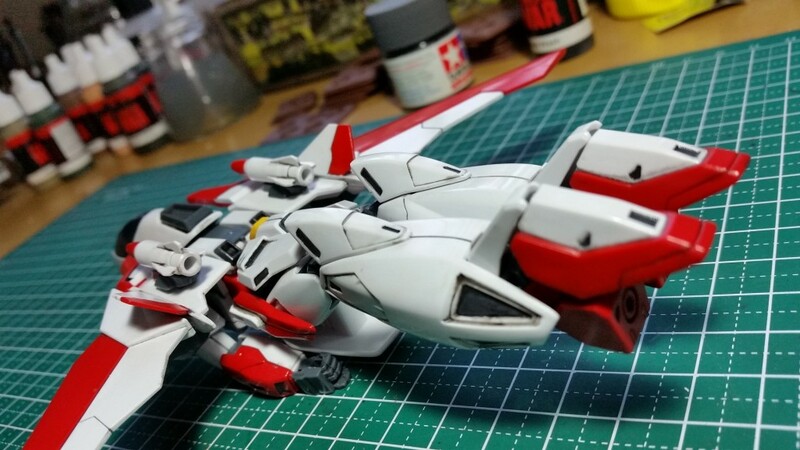 With no need for glue and very little painting, the construction process is pretty relaxed and straight forward. 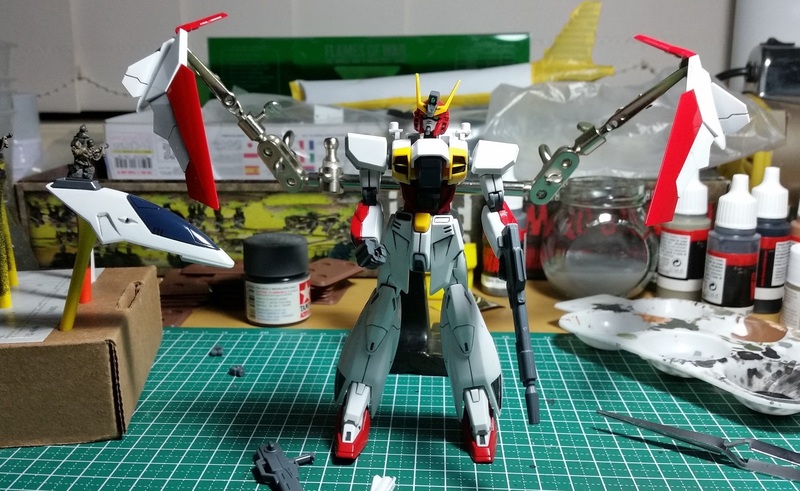 Without painting this Gundam Airmaster could take an hour to complete. But after looking at the colour images of the finished Gundam on the box and instruction manual, I decided to in fact add some colour and shading in places to give it that little extra something. 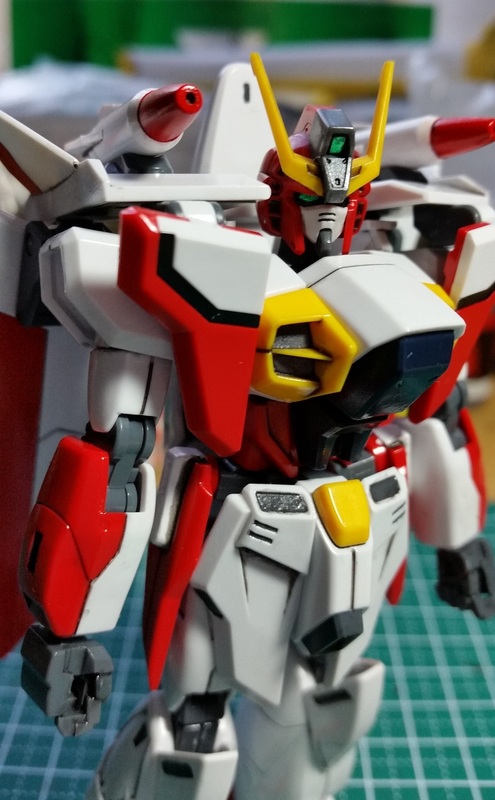 To be honest, while painting is not required, I’m glad I went to the extra effort and suffice it to say the build took much, much longer than an hour. As models go, I’m struggling to find a negative about these kits, if anything, maybe the price is a bit on the high side. 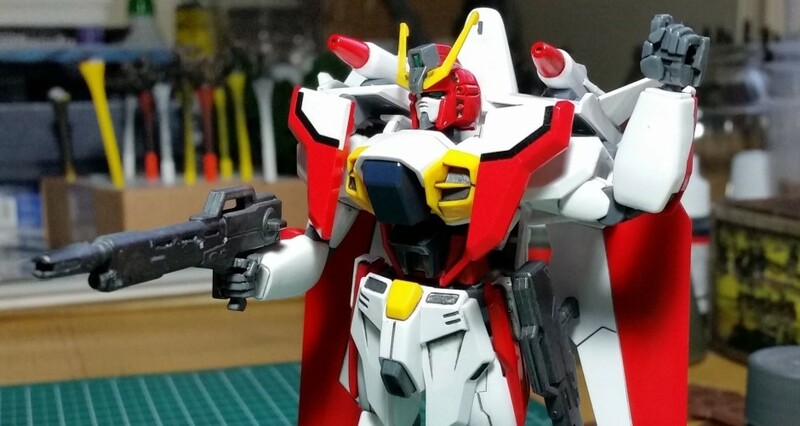 Some Gunpla kits can seem a bit expensive, sometimes it depends on the specific model, and even then, given the quality, no need to glue and since painting is really optional, it’s pretty good value. What makes the Airmaster model even more interesting is that it can actually transform into an aircraft. Which is pretty neat, how many scale kits are made such that you can actually transform them. Here’s a few more images of the completed kit. This entry was posted in Models, Plastic and tagged airmaster, gundam, gunpla, modeling, models. Bookmark the permalink.